Leadership Atchison serves the Atchison community by providing programs to develop strong community leaders. In 2005, the program was redesigned to incorporate the leadership development model from the Kansas Leadership Foundation. In 2009, Leadership Atchison decided to team up with Benedictine College to provide college students and community leaders the opportunity to learn from and with each other as they developed the leadership skills necessary to go out into the community and get involved. 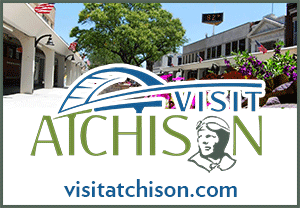 Today, Leadership Atchison focuses on giving participating community members and students the tools and know-how to become strong citizens engaged in making Atchison and Atchison County a better place to live. 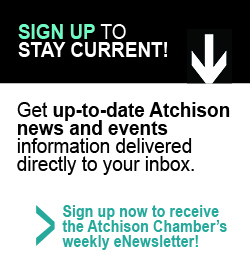 Leadership Atchison promotes leadership, partnership and program opportunities of personal growth, education and leadership skill development to its members and the Atchison area. Our goal is to introduce the students and community members to the leadership networks and dynamics that define leadership in Atchison County. The classes, sponsored by the Atchison Area Chamber of Commerce, the Kansas Health Foundation and the Leadership Development Council, begin October 2nd and run every other Tuesday from 1 – 5 p.m. through March 5th. Classes cover everything from government and economic development to agriculture and tourism. Anyone interested in the class should contact Mary Jane Sowers at the Atchison Chamber at (913) 367-2427. The course facilitator for this year will be Jesse Greenly. The class will feature speakers on the selected topics. Project implementation will take place between December 2018 and April 2019.